The story of Mr Kipling has some great learning about the dangers of ditching distinctive assets. Back in 2014 in a post on the cake brand I warned about “the risk of forgetting what made you famous, and not refreshing your brand properties.” The post was prompted by plans to ditch the brand’s long-standing communication campaign and by a bad habit of chopping and changing pack design every few years. Four years on and Premier Foods are now finally fixing the issues flagged up in the post with a brand re-launch. 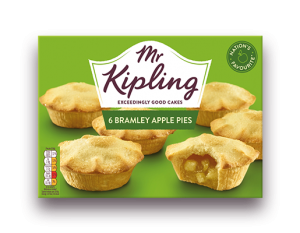 Business results suggest a change in approach is needed, with sales of sweet treats including Mr Kipling down 4.3% (9 months to 30 Dec 2017) (1). Below, we look at the painful lessons Premier Foods has learnt, and how you can avoid making the same mistakes. “Is Mr Kipling mad to ditch a 46 year old slogan?” I asked back in 2014. When the brand’s new advertising came out a few months later, the famous slogan, ‘Exceedingly good cakes,’ was briefly slapped at the end. But the focus was on a new idea: ‘Life is Better With Cake’. The campaign was a good example of mistakenly believing that ‘emotion is everything’. A young boy danced with an imaginary pink elephant for most of the ad, deciding at the end to share his Mr Kipling cake with his new friend. 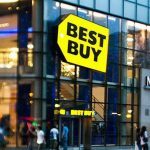 I posted recently here on the problem with this approach: a failure to position the brand as the effective way of achieving a goal. The boy and the elephant are already having fun, and the Mr Kipling cake plays a minor role; life was already great before the cake. The result is what we call ’Sponsored entertainment’. 2006: the brand had an iconic visual property, ‘the cake tin’, bang in the middle of the pack (see below). This sort of visual device creates the distinctive ‘memory structure’ that helps people shop using ‘System 1’, intuitive, quick thinking. 2008 = Chop: the device was downplayed and moved to the top left corner, with a generic product descriptor taking centre stage. 2015 = Chop: another team, with a new agency Brand Opus, ditched the device again (bottom right). 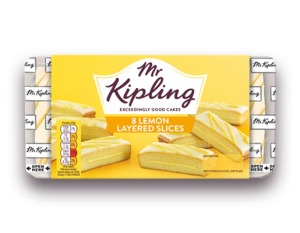 “The old cake-shaped lozenge has been transformed into a ‘calling card’ to convey the idea that Mr Kipling has personally approved each box of cakes,” suggested an article at the time. (3). The team also learnt the hard way about the risks of messing with the colours of different products, which shoppers use to navigate a range and find what they want. 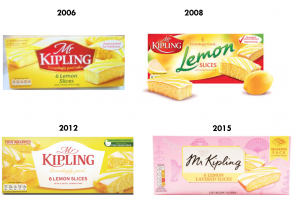 After years of being yellow, in 2015 Mr Kipling’s Lemon Slice was changed to a pink design in a scheme based on consumer need states. This “theoretical approach that failed to take into account that customers associate Lemon Slices with yellow packaging, not pink,” reported Marketing Week (2). Wasn’t the clue in the product name, Lemon Slices? 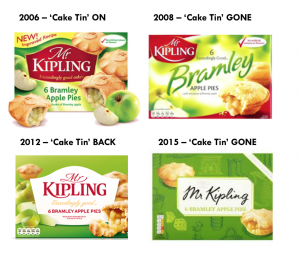 Several years after my blog post looked back at Mr Kipling’s frequent design changes, the Premier Foods team finally got round to doing the same thing. The team “looked back at all previous pack designs,” explained Helen. “The cake tin lock-up device that featured over time had been replaced with a calling card. We felt it right to bring that back.” The new design is below. The lower case type for the logo is a nice touch, as it does look like Mr Kipling’s signature. And lemon slices are, er, lemon coloured again. The team has also take the advice to remember and refresh what made the brand famous. 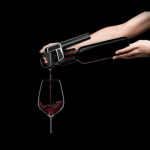 “We’ve gone back to the product truth and really moved that forward,” commented Helen. In the new communication the brand plays a more central role in the story and Mr Kipling is back at the end telling us about his ‘Exceedingly good cakes’. Yes, the new campaign aims to connect emotionally with the viewer. But in contrast with the boy and the elephant from 2014, Mr Kipling now has a key role in helping the main character achieve a goal. The young boy wants to get his hands on an Mr Kipling cake as a treat for his older sister, who is studying for her exams. 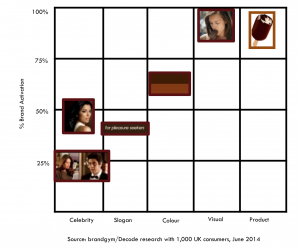 So, how to avoid the danger of ditching distinctive brand properties like Mr Kipling? The answer is to treasure and measure your brand assets, which include slogans, visual properties, colours and sounds. A new supply chain director would by laughed out of the boardroom for recommending to knock down a physical asset like a factory because he/she “had a feeling it was out of date and needed changing”. We recommend that brand teams use an ‘Iconic Asset Tracking’ study (IcAT ) to measure their brand assets, and highlight the ones that are most important. A study we ran on the Magnum brand (below) indicated how iconic the product shape was, but how the slogan ‘For pleasure seekers’ and expensive celebrity endorsees were relatively weak. In conclusion, the Mr Kipling story shows the importance of remembering and refreshing what made you famous, and ensuring your brand plays a starring not supporting role in your marketing. We’ll meet back here in four years time to see if Mr Kipling has stuck to to the advice this time!